Turn Your PC into an Ad Blocking Router! Ads are everywhere on the internet, and sometimes they’re so in your face, it’s difficult to enjoy the content on the webpage you’re trying to read. Ads can also slow down your browsing experience and worse sometimes promote questionable content or inappropriate content. Ads are often dynamically loaded into web pages based on your browsing history or cookies on your machine. In either case, the web page has to download all these additional banners, images, and videos slowing down your browsing experience and using up additional data on content you don’t even want to see in the first place! Most ad blockers still allow all of that activity to happen, but just hide the ads so you can’t see them. Connectify Hotspot is different – Ads are blocked at the DNS level which means they’re not just hidden from view, they’re prevented from loading in the first place! There are a lot of different tools and plugins that allow you to block ads. But, many are difficult to use, ineffective, and only work on a single browser. This means that the ads are still there on other devices and other browsers. With Connectify Hotspot is acting as your router, all connected devices will enjoy uncluttered and ad free browsing across all apps and services! 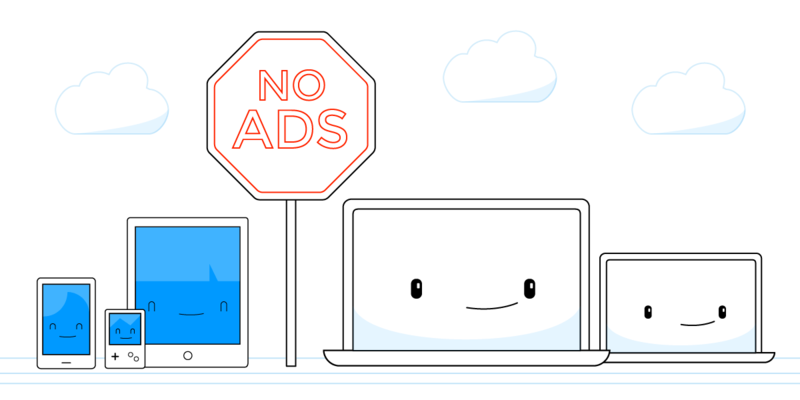 Best of all, unlike a traditional router, Connectify has a user-friendly interface that makes enabling universal ad blocking simple. All you need to do is go the “Firewall” setting and click to enable the “Ad Blocker” option. Every device you have connected through your Connectify Hotspot, even your phones and tablets, will not see any ads. You may notice that many apps that used to show you ads will no longer be able do so. This is because any app or web page that uses DNS to pull ads will be unable to deliver them to your device. The Connectify Hotspot is one of the few truly universal whole house ad blockers that anyone can use. Why Use an Ad Blocker? There are many reasons to block ads. People find them annoying and distracting. Ads slow down your browsing. All of that activity happening on the page keeps the content from displaying and uses precious resources on your device, including data and processing power. Some major web pages load up to 50% faster when you are running an ad blocker. The time you spend waiting for ads you don’t want to see really adds up. Plus, if you’re paying an Internet fee per traffic amount or per device, you want to stick to the relevant information. The Connectify Hotspot ad blocker can also prolong the battery life of your mobile devices. The processing power ads use, and the longer page load times they create, drain your battery faster. With ad blocker you get to use all of your battery life on things you want to see and do. Ad blockers also make the web more family-friendly. It gives you more control over what content your family is seeing while on the web, or even on many apps. It’s time to stop putting up with ads. Connectify Hotspot gives you back control over your Internet experience. Try the universal ad blocker feature today and see how much better the Internet can be. Plus enjoy additional perks such as using emojis to name your hotspot and an optimized gaming mode. A universal ad blocker saves you time, money and battery life! Download Connectify Hotspot for FREE now – no email sign-up necessary!